This entry was posted in Nonsense and tagged China, fonts, Opera, Vector Graphics. Bookmark the permalink. Hey Philip you’re great ! I downloaded the PDF already. It’s a subject I’m very interested in ! I browsed through the paper, and it looks really good. Real sorry I missed your presentation. Congrats though. Meanwhile, enjoy Vietnam. We’ll just be fighting fascism back here, mm-kay. What do you mean David by “we” and “fighting fascism” ? Philip, your document is really interesting by the way ! I came across this blog whilst looking for fonts that are suitable for engraving. It appears that the leg work Philip has done is a great starting point for creating fonts suitable for engraving. I’ve downloaded the report to read in detail. Engravers using diamond drag, or router tips, requires that the inside of letters be cut out. Stroke fonts do this, with the shortest number of lines too fill the letter. Closed contour fonts such as TrueType don’t. 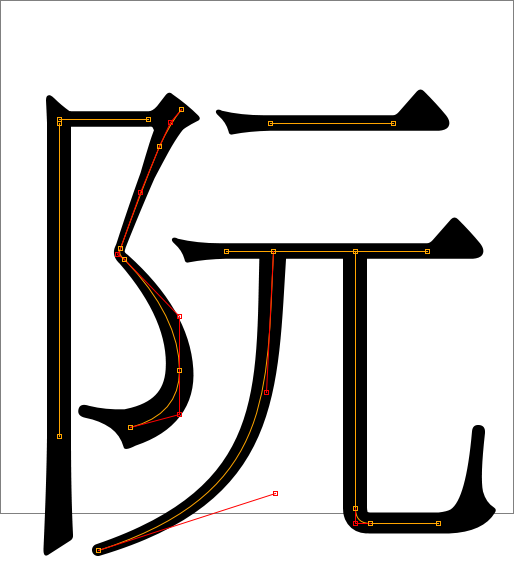 Closed contour fonts require software to fill the letter by contouring or hatching, both of which markedly increase the distance travelled and the number of tool ups, and/or have artifacts. Thank you Philip for spending the weeks and months to look into this subject.